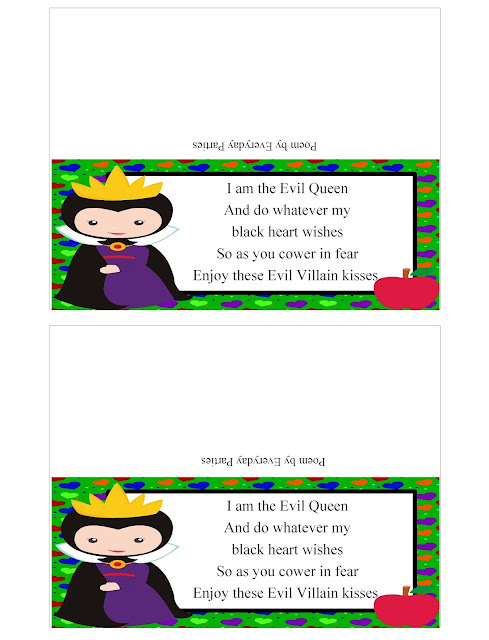 Celebrate Halloween with the Evil Queen and some other vicious villains with this Evil Villain printable bag topper. This is a perfect party favor for your Disney Villain or Descendants party or just as a yummy treat to give to your Trick or Treat kids. As you know, I'm trying to decide between a Nightmare Before Christmas party and an Disney Villain Halloween party this year. I played around with some Nightmare before Christmas ideas last week, like this bag topper, a shopping list, and a candy bar wrapper. Now I'm looking at some ideas for a Disney Villain party. That leads me to creating a bag topper for the party favors. 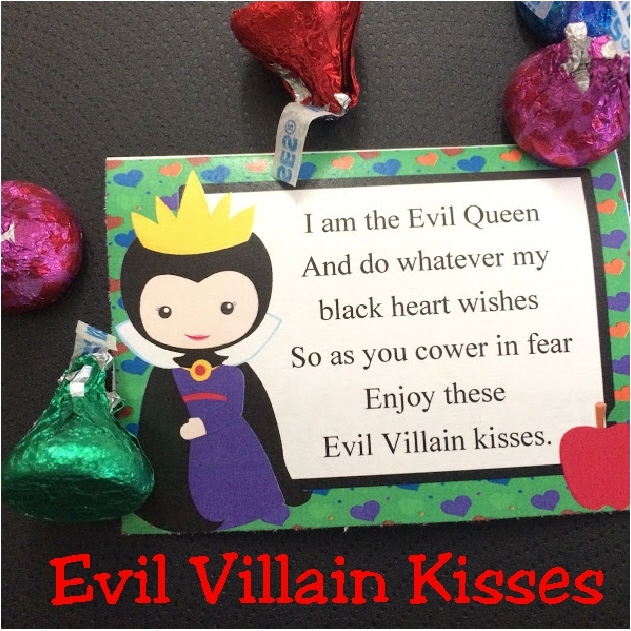 If you've been around awhile, you know I love to create fun poems for my party favors. You can see all my freebies here and all my shop printables here. 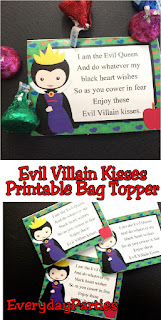 This Evil Villain bag topper is focusing on the Evil Queen.